The Pritzker Prize-winning Swiss architect brings his perceptive touch to projects from Norway to Los Angeles. 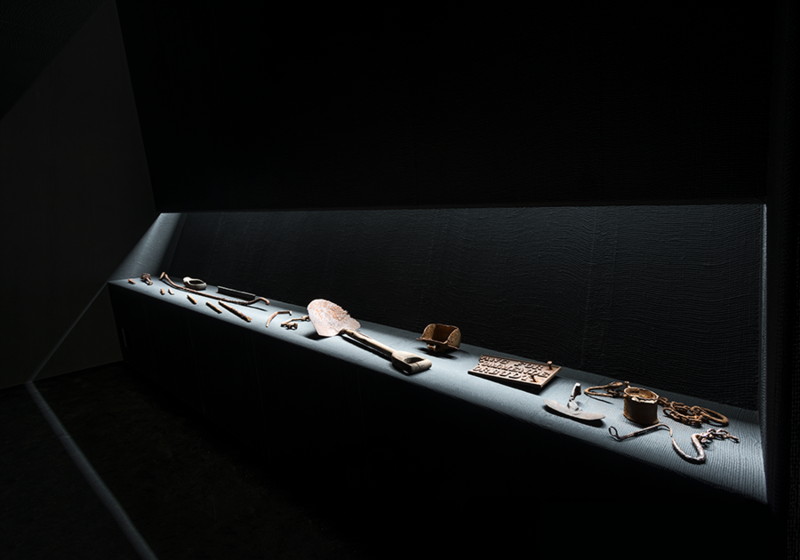 The first thing you notice when you arrive at the new Allmannajuvet Zinc Mine Museum outside Sauda, Norway, is that it looks nothing like a museum—or at least, what we think of as a museum. On a steep site framed by elegantly rugged walls of dry stone, three black, shed-like and zinc-roofed structures look far too small to house exhibits, much less hordes of visitors. But this isn’t a museum in the conventional sense. 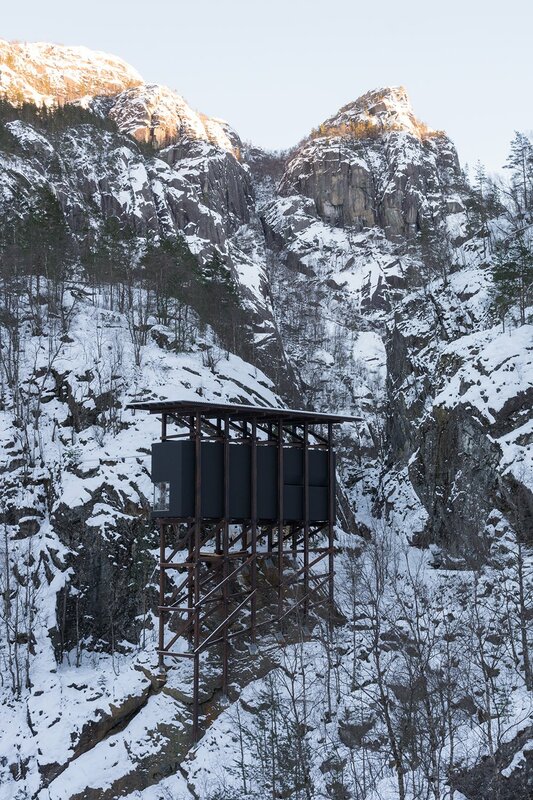 Consisting of a service building with restrooms, a café, and a gallery—all perched on tall timber supports—it’s more a memorial to those who toiled in the zinc mine that operated on the site from 1881 to 1899 in the spectacularly beautiful Allmannajuvet Ravine. The mine and its accompanying trail were long ago abandoned, the original buildings a distant memory. That history appears not just in the industrial aesthetic of Allmannajuvet’s architecture, but in small touches like the site map, cut into a cast zinc plaque, that greets visitors at the service building; the café gift shop’s array of wool scarves, caps, socks, and mittens, handmade by Aud Gloppen of Oslo-based firm Blaest Design and approved by Zumthor himself; and the oversize books that were commissioned for the gallery to complement the selection of tools and other artifacts from the mine. The books cover the site’s geology and vegetation, its history and its architecture, and include an anthology of underground-themed written works ranging from literary classics (Dante’s Inferno and Henrik Ibsen’s play Peer Gynt) to popular music hits (Barry and Robin Gibb’s “New York Mining Disaster 1941”) to a hybrid of the two (Bob Dylan’s “Subterranean Homesick Blues”). The uncompromising darkness of the buildings was achieved by coating their plywood walls with black PMMA, a European-made waterproofing material, applied over a substrate of jute mesh—a more resilient echo of the tar that covered old industrial buildings in the area. Zumthor experimented with jute when he was designing the 2011 Serpentine Pavilion in London, but Allmannajuvet represents his first use both for permanent exterior cladding and for the interiors. To his team’s knowledge, it’s the first time PMMA has been applied on vertical and overhead surfaces. The architect considered using color on the buildings, but ultimately decided against it. “The color is in the landscape,” he said, pointing to the view through window of the café. The effect of jute on the interiors is intimate and welcoming rather than starkly utilitarian. In both the café and gallery, ceiling heights vary dramatically, from 15-and-a-half feet in some areas—to allow indirect light in through skylights—to just over seven feet in the gallery’s exhibition area and the seating areas in the café. In the latter, stainless steel-framed ribbon windows are located at table height so that visitors can admire the scenery while having lunch or coffee (on Zumthor-designed furnishings, under Zumthor-designed ceiling lights). All three buildings have a structure of creosote-impregnated, glue-laminated pine supports, which are attached to steel plates bolted to the rock in a painstaking feat of engineering by Zumthor in close collaboration with Finn-Erik Nilsen and Jürg Buchli. Detailed dimensioning was done by Nilson and Lauber Ingenieure. The tallest of the vertical supports measures nearly 79 feet. 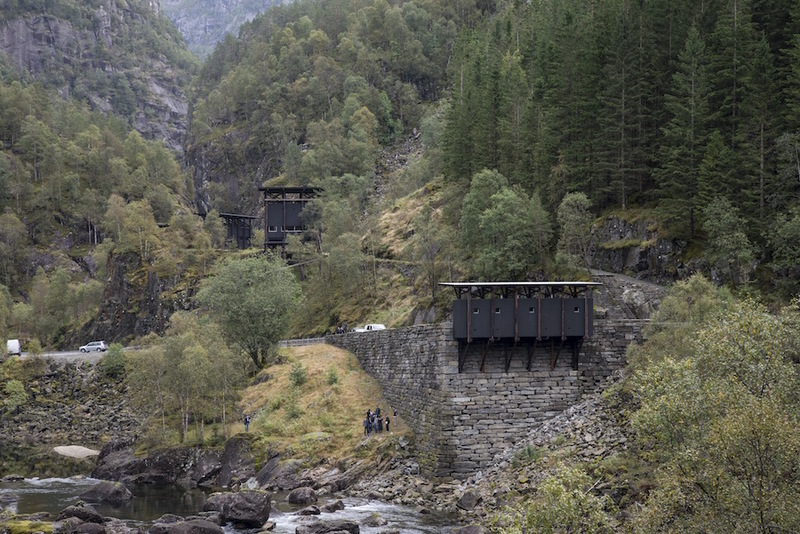 That there’s a Zumthor-designed museum on the site of a mine that closed more than a century ago is a testament to the forward-thinking nature of the National Tourist Routes, an agency that is part of the Norwegian Public Roads Administration. Founded in 1994, the NTR oversees 18 scenic routes, including the Ryfylke route, along which the museum is located. 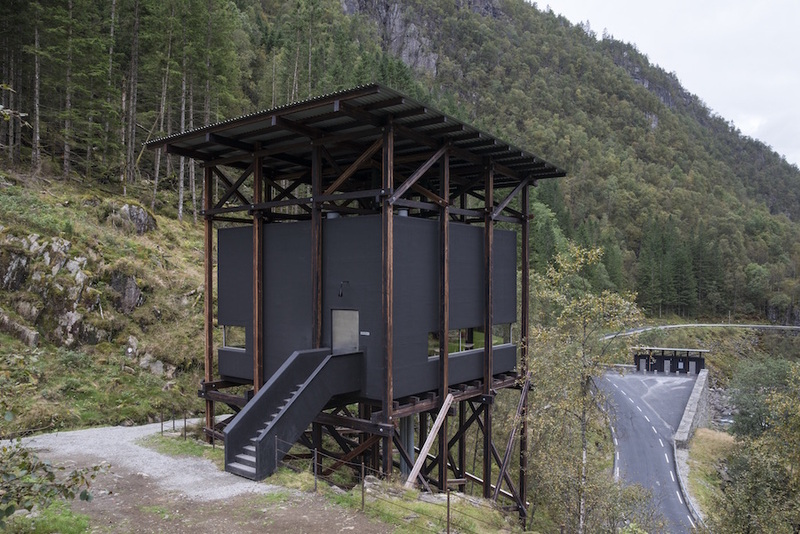 For these roads, which celebrate Norway’s natural beauty and history, the agency has commissioned an impressive array of works by contemporary Norwegian architects, including Snøhetta, Reiulf Ramstad, and Jensen & Skovdin, as well as international artists such as Fischli & Weiss and Mark Dion. It was another of these artists, the Norwegian sculptor Knut Wold, who brought Zumthor into the program. Wold had created a 42-ton stone sculpture for the Mefjellet stop on the Sognefjellet route, and in 1995 became a consultant to the NTR. 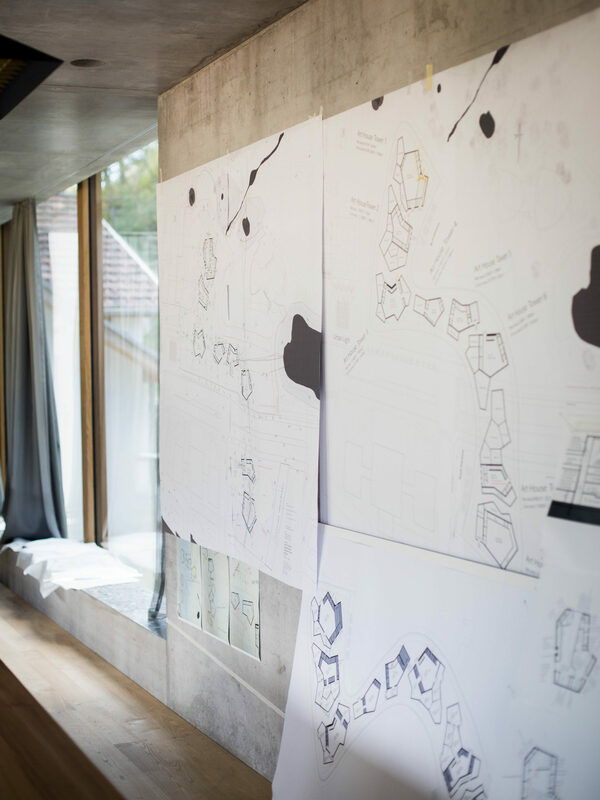 He saw some of Zumthor’s earlier projects in Switzerland, including shelters for a Roman archaeological site and the St. Benedict chapel in Graubünden. “How these different kinds of buildings interpreted the site and functions into something so clear made a great impression on me,” he recalls. 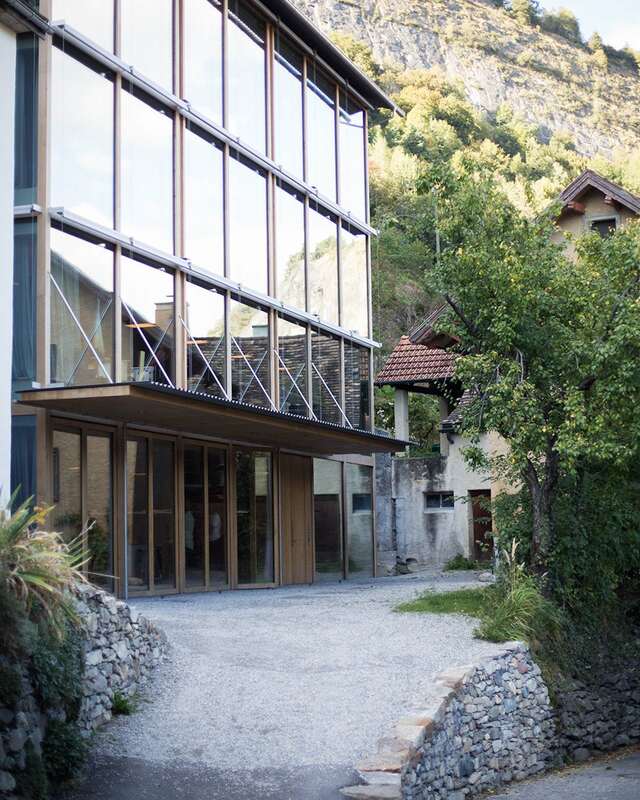 The NTR was eager to raise its profile, attract sophisticated tourists, and set high standards for future commissions, so when Wold was asked in 2001 to propose a foreign architect for Allmannajuvet, he turned to Zumthor. The architect’s first site visit was in 2002. After years of site planning and stabilization of the rocky hillside, construction on the foundations began in 2009, with the first building going up in 2013. Indeed, the project took so long that Wold had time to offer Zumthor another commission in 2006, this one on the Varanger route. The Steilneset Memorial, located in Vardø, commemorates the 17th-century trial and execution of 91 people for witchcraft. 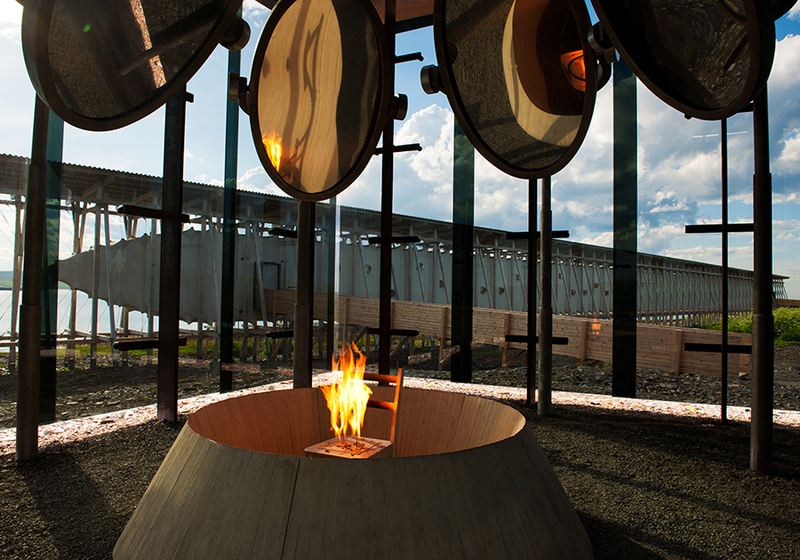 The memorial, which opened in 2011, includes the last major work by Louise Bourgeois, a sculpture that consists of a metal chair with flames shooting up out of it, surrounded by seven mirrors, as well as Zumthor’s 410-foot-long timber structure framing a stretched fabric cocoon woven in fiberglass. Inside, flanking a narrow wooden walkway, 91 small windows, each with a single light bulb, contain birth and death dates, as well as text from original sources about each of the victims. As with Allmannajuvet—although in a more metaphorical way—the Steilneset Memorial embodies Zumthor’s contrasts of darkness and light. If these seem like odd inspirations for an architect whose rigorous aesthetic has nothing to do with historical mimicry, Zumthor disagrees. “I’m not a modernist,” he says. “I’m contemporary.” But perhaps that characterization doesn’t quite do him justice. 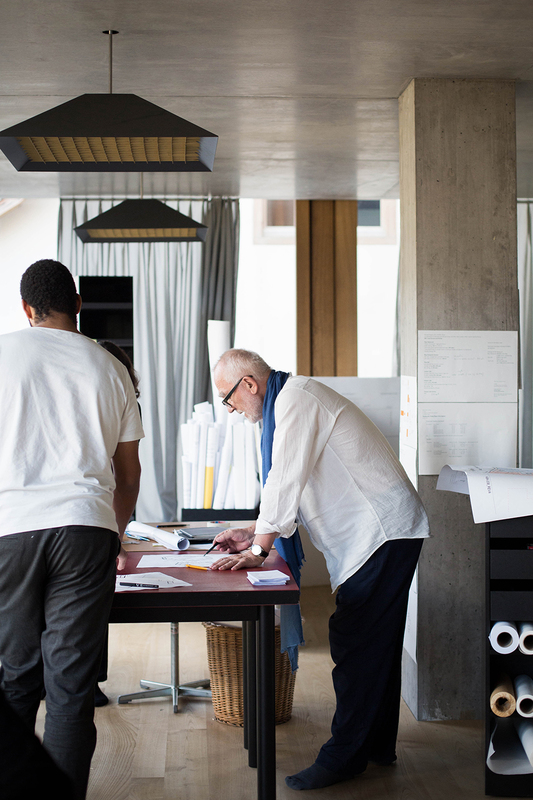 In his relentless quest to distill the spirit of a place—be it on an archaeological site, around an abandoned mine, or in a 368,000-square-foot museum building—Zumthor’s work does indeed look timely. It also resonates with something that’s completely timeless.